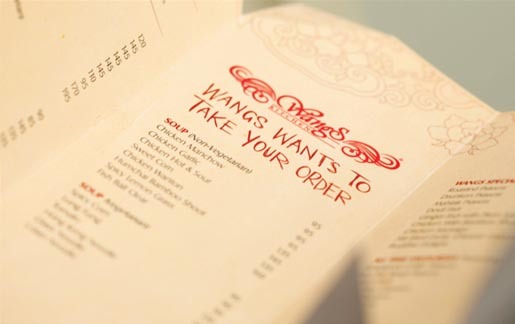 Wangs Kitchen, run by Oriental Cuisines Pvt. 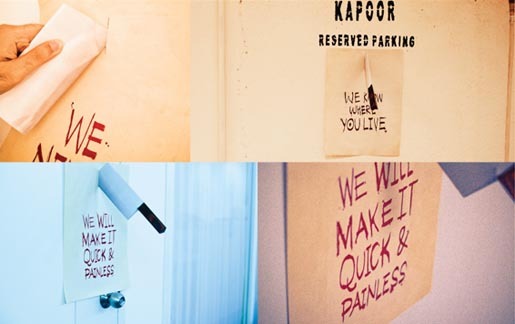 Ltd in Chennai and Hyderabad, India, used posters with razor sharp knives to promote their home delivery service as well as increase the number of call-ins. The mysterious posters came with interesting messages that piqued curiosity. “We know where you live”. “We will make it quick and painless”, “We Never Forget”. When the knife was taken out, customers were in for a pleasant surprise, a menu card. 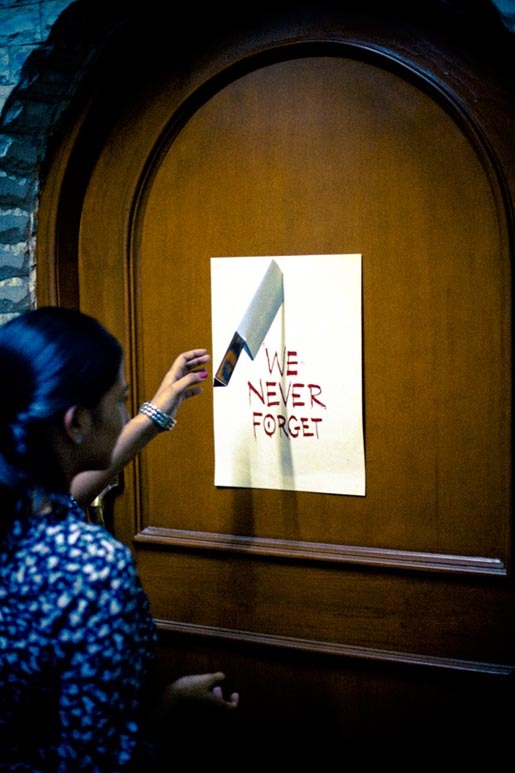 The Knife campaign was developed at Fingerprints, Chennai, by creative director Karan Daswani, art director Vinayak Vohra and designer Venkit Kumar.